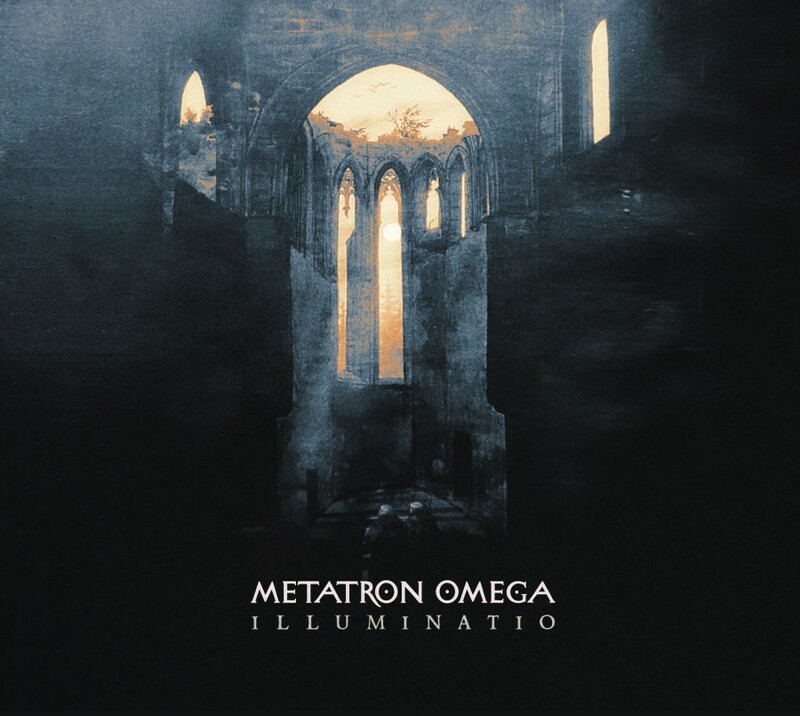 Metatron Omega made their debut on Cryo Chamber in mid-2015 with the album Gnosis Dei. Gnosis Dei was a tour de force in esoteric/gnostic dark ambient music. Thick reverberating drones set the background accompanied by the deep voice of Scorpio V reciting religious texts as if he were raised above some post-apocalyptic congregation. The music speaks its dark sermon directly to the listener. Whether Scorpio V felt that he’d said enough on Gnosis Dei or he decided that spoken word vocals were unnecessary to his ultimate vision, he moved away from this style on the two following albums: Sanctum and this latest release Illuminatio. Sanctum doubled down on the atmospheric, choral and chant components leaving the actual reading of religious texts to the listener and instead providing an ever deeper and denser backdrop to their pious esoteric meanderings. On Illuminatio, Scorpio V takes all that he learned from Sanctum and further refines these elements. The raison d’être-esque chants and choral elements become even more polished on this release. The voices of this dark choir are at times beautiful at others they are distorted and almost take on a daemonic quality. The foundational elements of drone drenched in a thick layer of reverb have a consistent density. This dense atmosphere brings the darkest images to the mind, as if we, the listeners, were part of this gnostic congregation of the damned. One may easily imagine the remnants of a glorious cathedral, pews rotting and wormridden. The congregation dressed in filthy damp rags, shivering in their seats as a cold and musty wind blows through the collapsed ceiling. An unholy choir stand in the chancel delivering their contorted hymns as a thick cloud of frankincense floats between them and the onlooking crowd. The smoke, burning the eyes and lungs of the congregation, at least masking the noxious odor of mold and decay. These dark occult images of are likely to materialize differently for each listener. One’s position on religion will likely dictate their reaction to and understanding of the presented soundscapes. Scorpio V focuses his art on what appears to be a well thought-out version of gnosticism, so from his perspective, their is likely a direct religious element to these tracks. This sentiment is likely to be shared with a vast number of his followers. For those of us completely devoid of religious leanings, this Metatron Omega trilogy draws images of the end of religious order, the last sermons and hymns of a dying congregation, making one last pious attempt at reaching the ears of the gods in a broken and dying world. Whatever your thoughts on religion, just as with those classic raison d’être albums, there is plenty of reason to enjoy the beauty of these works. Metatron Omega has certainly come a long way in realizing his visions, the merits of this latest opus, Illuminatio, cannot be understated. Metatron Omega, as a whole, can be seen from a more cinematic perspective, if one so chooses to take this route in their listenings. The first album, Gnosis Dei, lays out the groundwork for the trilogy, the hermit speaks out to us, explaining his path to enlightenment. On Sanctum, we can imagine the protagonist moving much closer to his ultimate enlightenment, no longer requiring explanation or dictions of any kind. He basks in the energies of the cathedrals he visits and the tomes he has uncovered. The hermit enters the halls of ancient orders and performs the required rituals to achieve his ultimate enlightenment. Illuminatio takes us beyond the earthly realms. The hermit has ascended, he’s become illuminated. He now resides in the aether, amongst the cosmic choirs beyond the limits of the laws of nature and order. Illuminatio can be enjoyed as an aid to one’s spiritual enlightenment or as a backdrop to reading, studying or secular meditation. The album can be seen as a truly religious experience or as a well-rounded dark ambient album from an artist that is achieving an “enlightened” status among his peers. There is no shortage of great music to be experienced on Illuminatio, it is certainly his strongest release to date. Whatever your goals may be, Illuminatio should prove to be an enjoyable experience for any fan of the cathedralic sub-genre of dark ambient music. Listening to this trilogy as a whole, seeking a greater message or enjoying it as a stand-alone album, dark ambient fans should all find something to draw their interest. Personally, I miss the spoken word. That said, both this album and Sanctum are great. It was just that the spoken word pieces made Gnosis Dei rather unique.